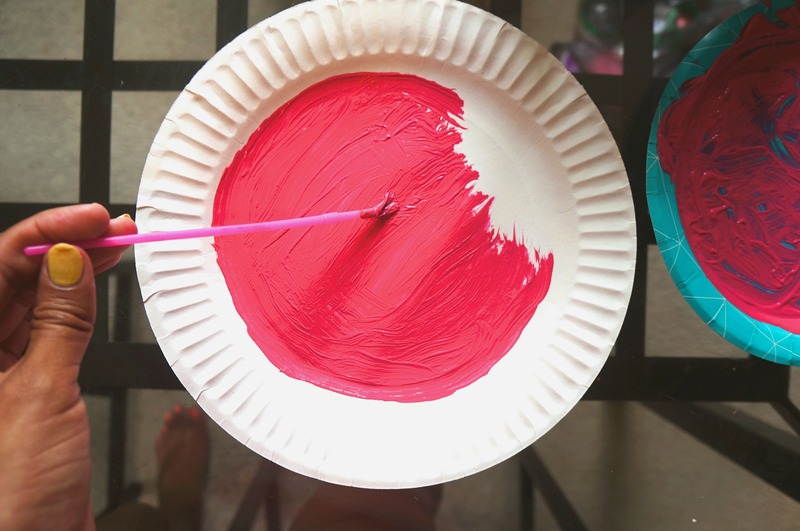 DIY Paper Plate Watermelon Fans Craft - Such A Cute Summer Activity! 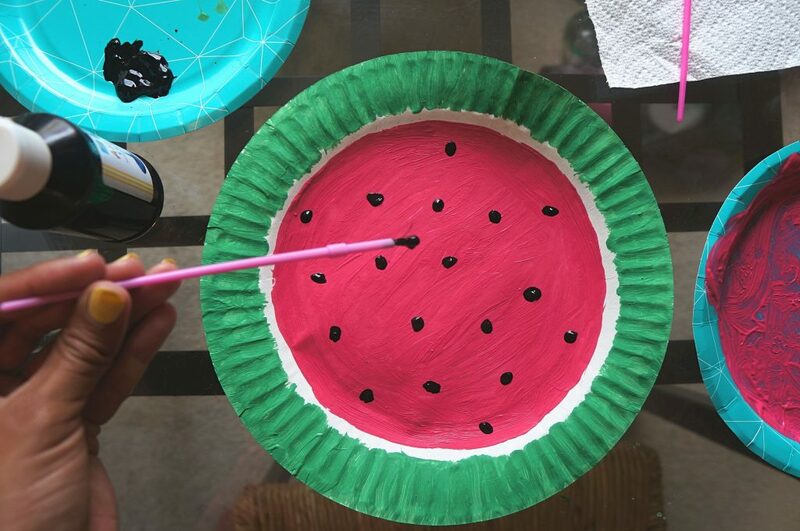 Cool off with these hand painted DIY paper plate watermelon fans! 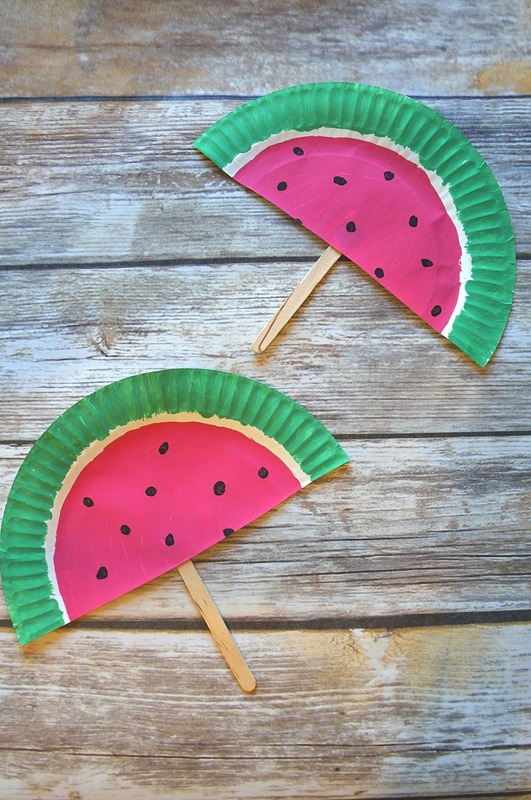 If you’re looking for a fun summer activity, this watermelon hand fan craft is the perfect one! Our absolute favorite summer fruit is watermelon, it is so sweet and juicy and we wish it was available like this year round! In spirit of the watermelon, we made this DIY hand fan craft themed like the best summer fruit ever. If you’e looking for fun summer boredom busters for your kids, try out this watermelon paper craft. 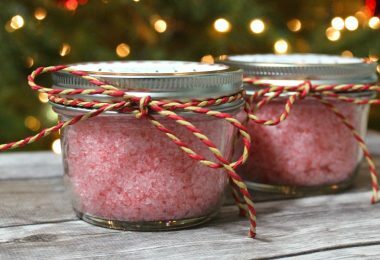 It is easy, fun to do with the kids, and if you’re a crafter, you probably already have everything you need at home. When you finish your watermelon hand fans, you’ll be able to cool off a little bit from the summer heat! Time to break out the paint! 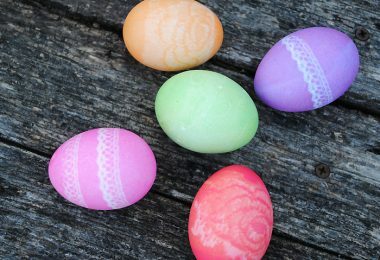 To begin, grab a paper plate and make it your paint palette. Mix red and white until you get a pink color you love. On the opposite side, mix the green paint with a little white to achieve the perfect rind color. Make sure you make enough paint to cover the whole plate, it’s hard to get the same color shade when you have to mix colors again. I started painting the middle of the watermelon first, covering the entire middle of the plate and going partially up the sides. If you have multiple children, cut the plate in half before you start painting so they both have a side to paint. Avoid all of the arguments you can! When you’re ready, rinse the paint brush thoroughly or grab a clean one and begin to paint the rind, or the outside edge of the plate. We did our brush strokes slowly from the inside out on each of the dips around the outside of the plate. Leave a little bit of white space between the pink center f the watermelon and the green paint, just like real watermelons do. By this time, the pink middle should be slightly dry. Clean your brush once again and squeeze some black paint onto your paint palette. Dab the tip of the brush into the black and make some random seeds by carefully dabbing the black paint onto the center of the plate. Turn your watermelon into paper plate watermelon fans! When the paint is thoroughly dried, cut the watermelon paper plates in half if you haven’t already and flip the two paper watermelon sides over. 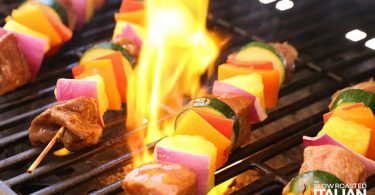 Glue a popsicle stick onto the back of the flat edge of the plate and allow it to dry. 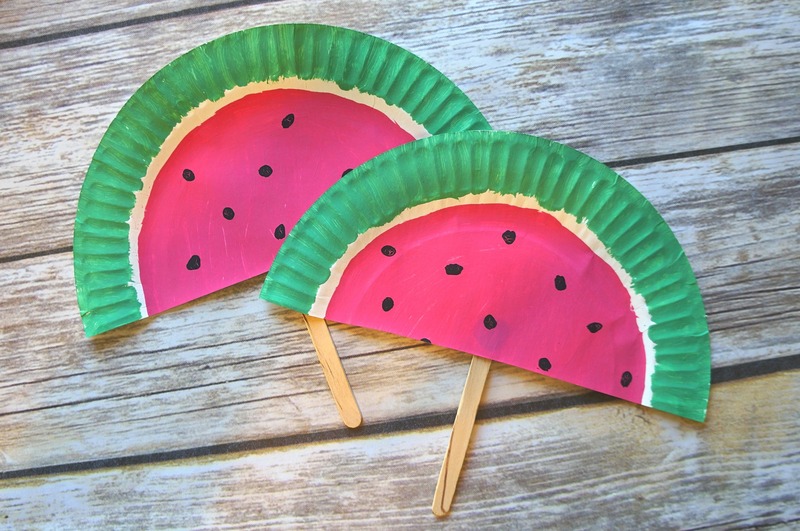 That’s it, you’ve made two paper plate watermelon fans! We hope you love this watermelon paper craft! 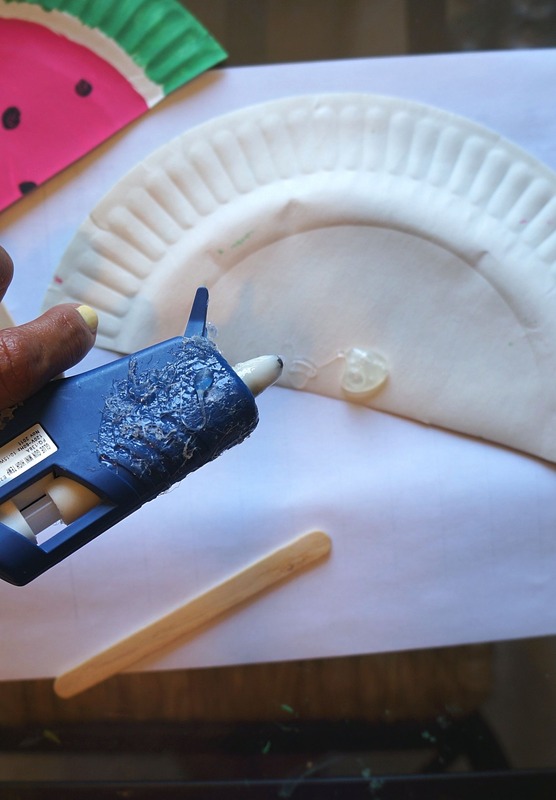 If you loved this kids craft, also try making these Paper Plate Fish Craft and our Coffee Filter Butterfly Craft, both so much fun! I hope you love these watermelon paper plates, such a fun hand fan craft to make!